Originally broadcast as an episode of the television program Nova on the PBS network. Rockets are becoming cheaper and more powerful than before thanks to new technologies. As companies make space more accessible and NASA returns to crewed spaceflight, a new era of space exploration seems to be on the horizon. 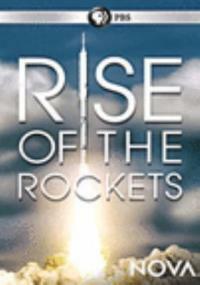 But will this seeming rocket Renaissance become just more than hype? NOVA explores the latest rocket technologies and the growing role private citizens may have in space. DVD, region 1, NTSC, wide screen; stereo.